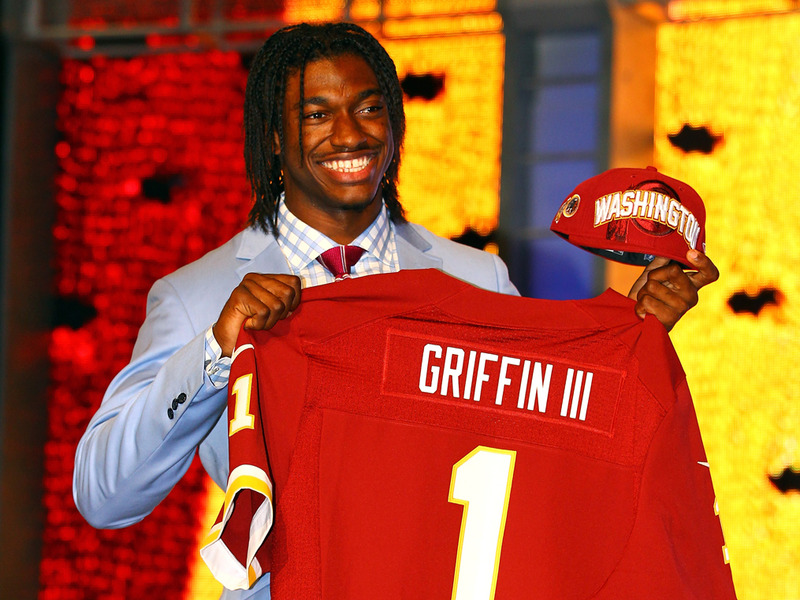 Al Bello/Getty ImagesIt cost the Redskins a fortune to trade up for Robert Griffin III in 2012, a deal that didn’t work out well for Washington. 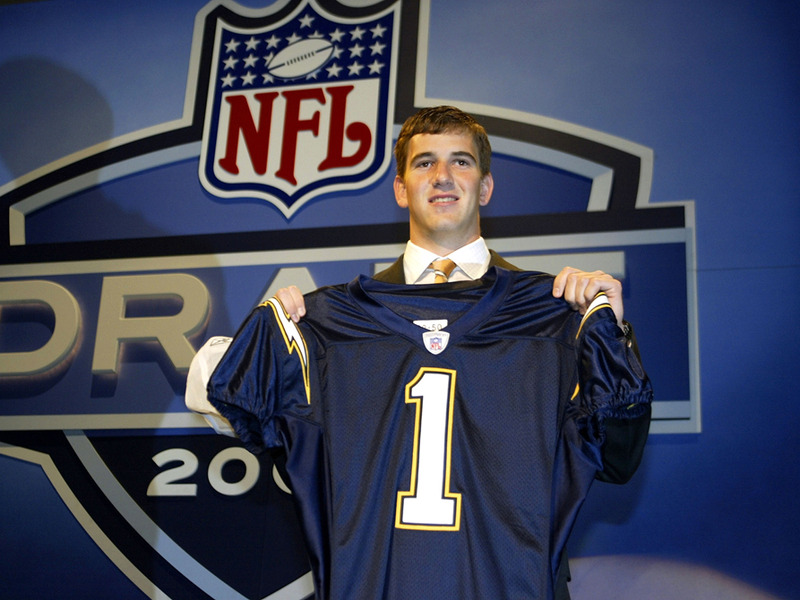 No position in the NFL is more important than quarterback, and over the years, teams have tried numerous times to trade up in the draft to secure the future of their franchise. Most recently, the New York Jets traded a boatload of picks for the right to jump up to the third pick in the 2018 NFL Draft. 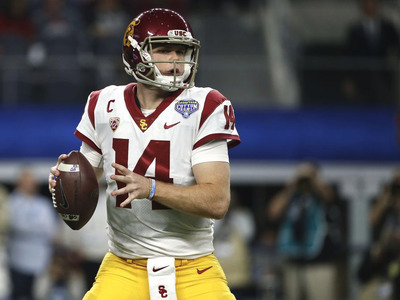 In a draft loaded with QBs, it’s a move that suggests the Jets will be aiming at their quarterback of the future. It will be a while before we know if the Jets’ move was worth it, but taking a look back at other teams that have traded up into the top of the draft to take a quarterback, we can see the gamble can be a risky one. Below is every instant of a team trading into the top three picks of the draft to take a quarterback from the past 30 years. 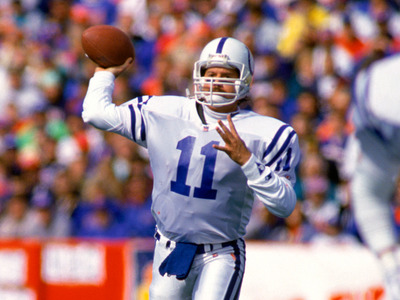 Ahead of the 1990 NFL Draft, the Indianapolis Colts traded up to secure the first overall pick, which they would use to take Jeff George out of Illinois. His rookie deal was worth $US15 million — a record at the time. George started every game of the Colts’ dismal 1-15 season in 1991 and would leave the team a few years later. 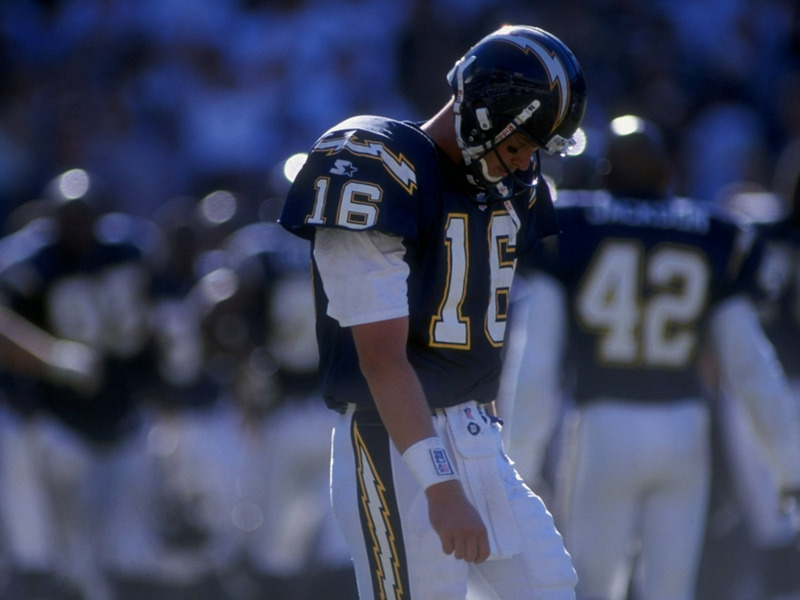 He remained in the NFL for over a decade, even leading the league in passing with the Raiders in 1997. Ryan Leaf is well known as one of the biggest busts in NFL history, having been taken just after Peyton Manning in the 1998 NFL Draft. Adding to the embarrassment for the Chargers is that they parted ways with their second-round pick and the next year’s first rounder to jump up just one spot past the Cardinals. Chargers gave up: first- and second-round pick in 1998, first-round pick in 1999, kick-returner Eric Metcalf and linebacker Patrick Sapp. 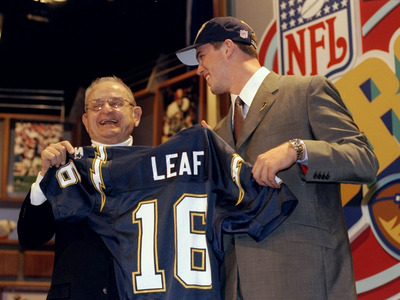 Leaf was out of the league in four years, leaving the NFL with 14 touchdowns and 36 interceptions to his name. 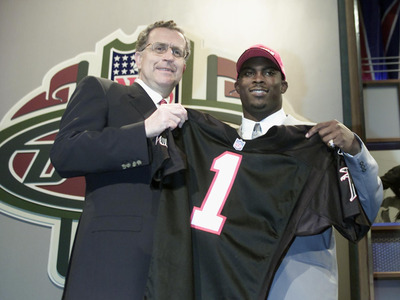 Atlanta was able to trade up in 2001 after the Chargers couldn’t come to a deal with quarterback Michael Vick, giving the Falcons the chance to take him with the first overall pick in the draft. Michael Vick would become the most dynamic player in NFL with the Falcons until 2007, when he would plead guilty to federal charges related to dog fighting. 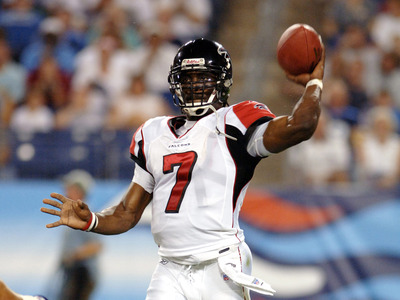 After serving his sentence and suspension, Vick would return to the NFL and contribute for the Eagles, Jets, and Steelers. While he would never find the form he once had, he did make it back to the Pro Bowl in 2010. 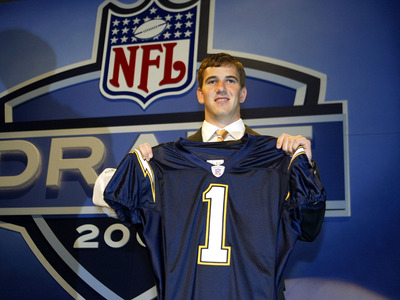 While the trade didn’t happen until after Manning was drafted by the Chargers, the New York Giants already had a deal in place to send picks to San Diego for the rights to Eli Manning. It helped with their leverage that Manning has stated he’d refuse to sign with the Chargers, but New York still gave up a healthy amount in the deal. Winner of two Super Bowls and one of the longest-tenured players in the NFL, it’s tough to argue that Manning was anything but a blessing for the Giants, even if he’s one of the most consistently critiqued players in the league. 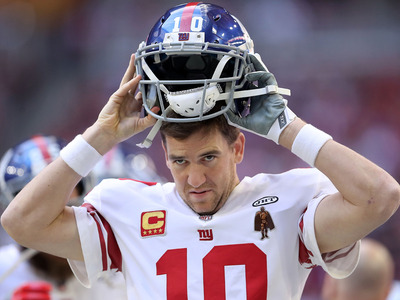 This year, for the first time in over a decade, the Giants need to start thinking about who might be in line to take his place. The Redskins manoeuvring in the 2012 NFL Draft to pick Robert Griffin III is likely one of the most written about draft trades in league history, with Washington sending the Rams their first-round pick for three straight years in order to move up four spots and secure the services of the Heisman winner. 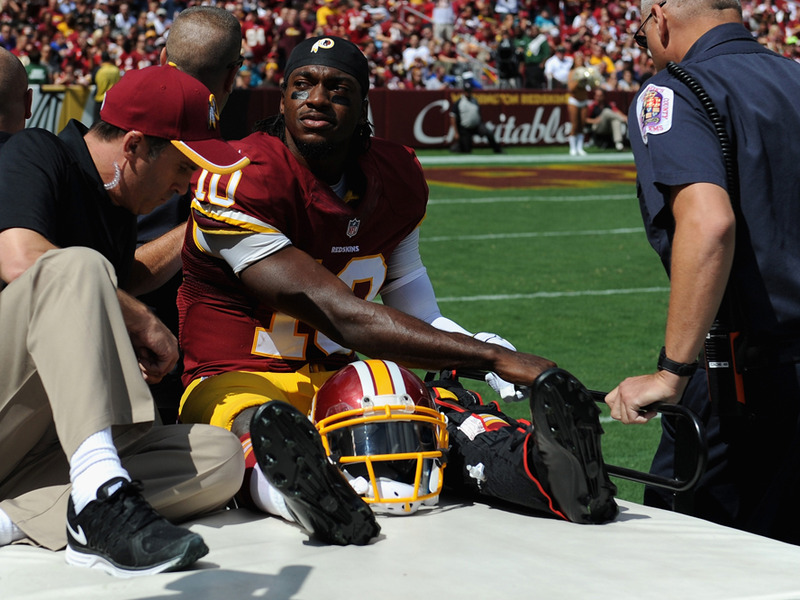 While a breakout rookie season left many thinking Washington had made the right decision, a series of injuries sent Griffin’s career off the rails. After a brief stint in Cleveland, he’s been out of the NFL since 2016. Looking to start fresh with a new coach in a new city, the Los Angeles Rams pulled off an impressive exchange of picks with the Tennessee Titans to move into the top spot in the 2016 NFL Draft and take Jared Goff as their next franchise quarterback. 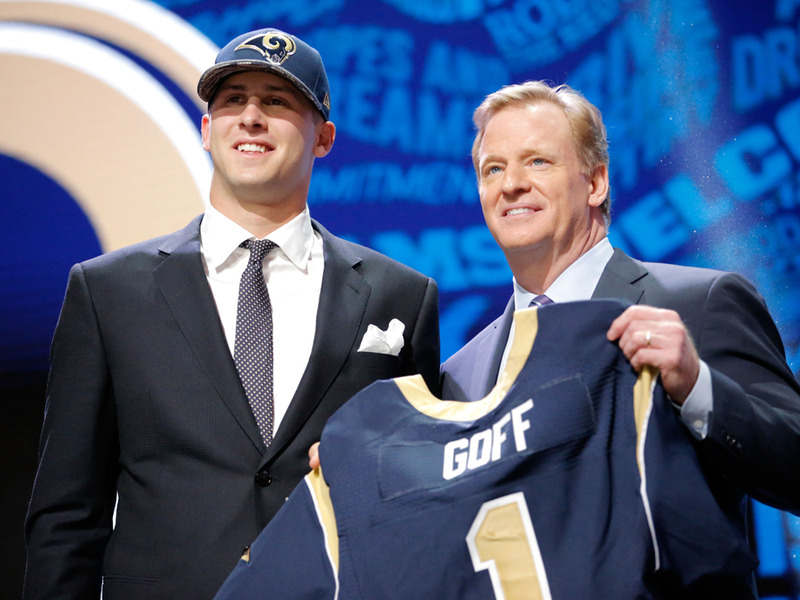 Rams gave up: 15th, 43rd, 45th, 76th pick in 2016, first- and third-round pick in 2017. Rams received: 1st (Jared Goff), 113th, 171th pick in 2016. So far, the experiment is working out pretty well for the Rams. 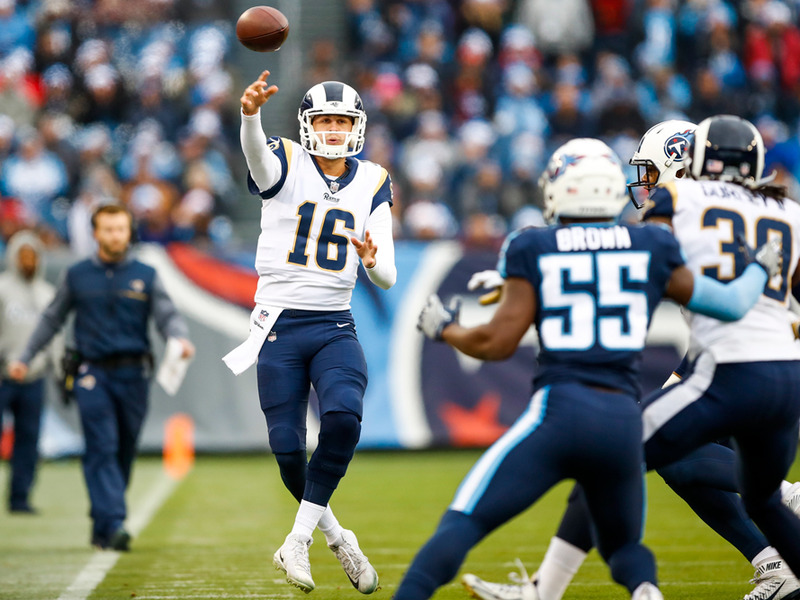 Los Angeles went 11-5 in 2017 — their first winning season since 2003 — and are loading up with talent with hopes of a Super Bowl run in the near future. The Rams weren’t the only team to trade up to get their guy in 2016. 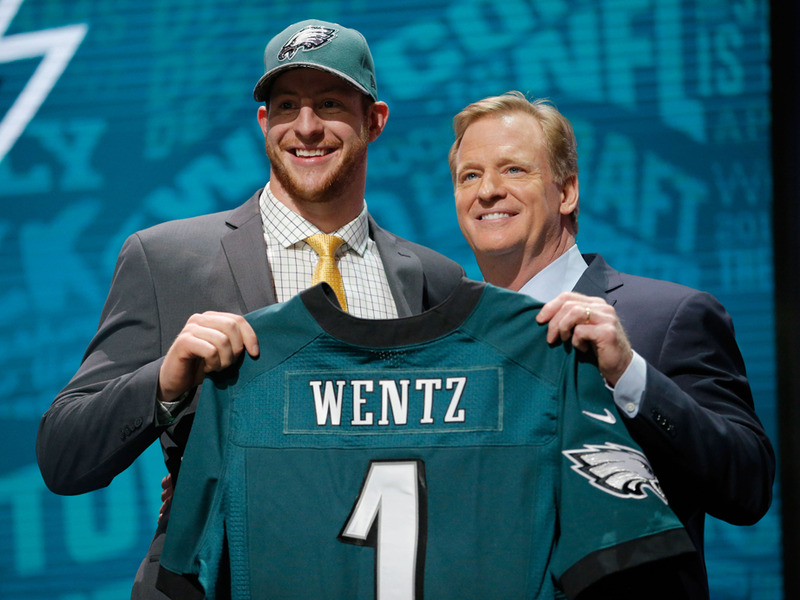 The Philadelphia Eagles also orchestrated a massive pick swap with the Cleveland Browns to move into the No. 2 spot and draft Carson Wentz out of North Dakota State University. Eagles receive: 2nd pick in 2016 (Carson Wentz), fourth-round pick in 2017. 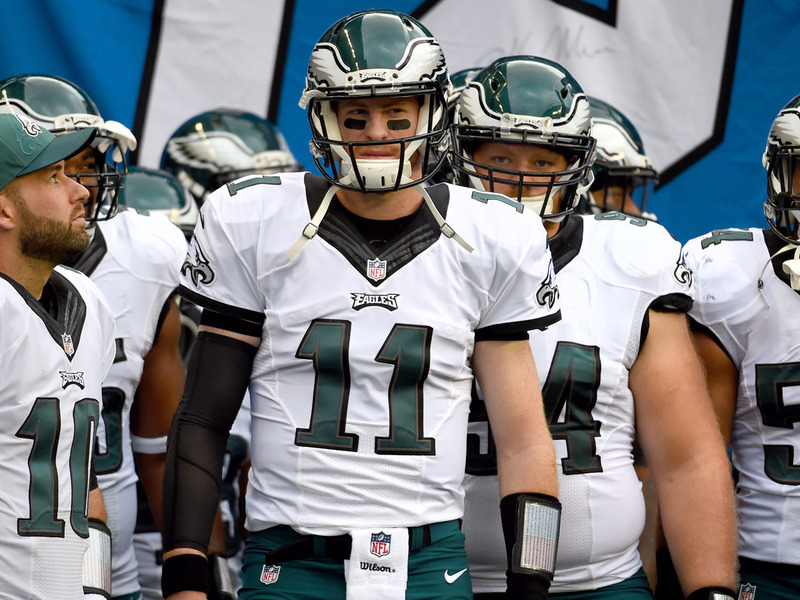 While Wentz wasn’t under center when the Eagles won their first Super Bowl due to an ACL injury, his play through 14 weeks in 2017 put Philadelphia in a position to succeed, and had Wentz in the conversation for league MVP. You would have a difficult time finding a fan in Philadelphia who would rather have those picks back. The Chicago Bears are the latest team to have traded into the top of the draft for a quarterback, sending three picks to the San Francisco 49ers to move up just one spot in the draft and select Mitch Trubisky. 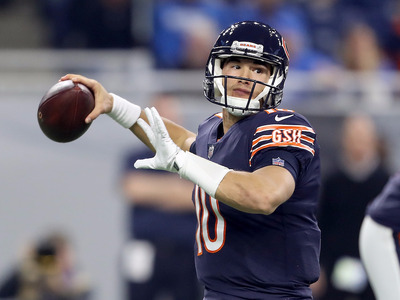 While there’s still a long way to go before we know if Mitch Trubisky can be the Bears’ quarterback for the better part of the next decade, he showed promise during his rookie season that should give Chicago fans reason to hope.